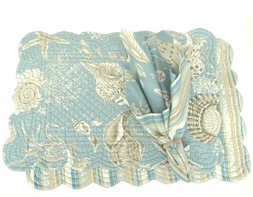 This ocean-themed kitchen accessory will make a wonderful addition to your breakfast nook. 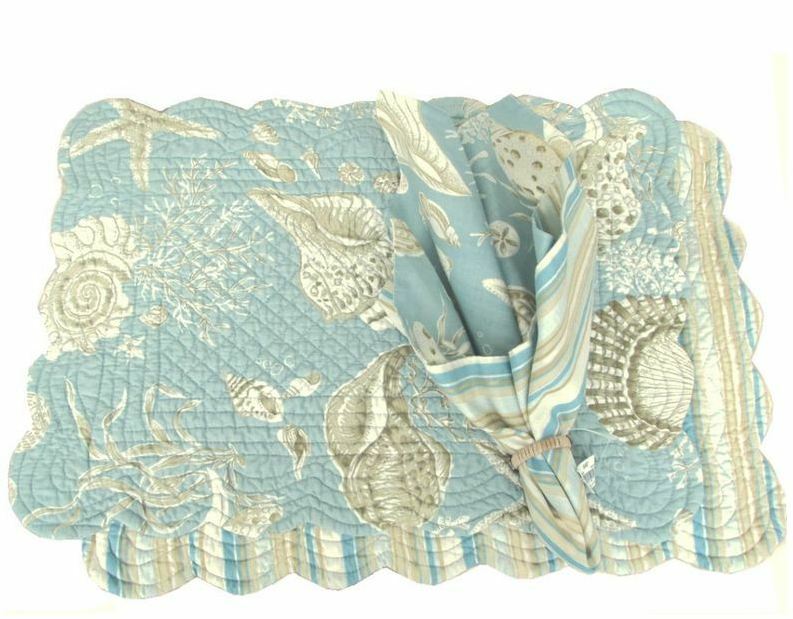 Matches the Natural Shell collection, this 100% cotton quilted placemat displays a fresh shell and starfish motif on an aqua background. 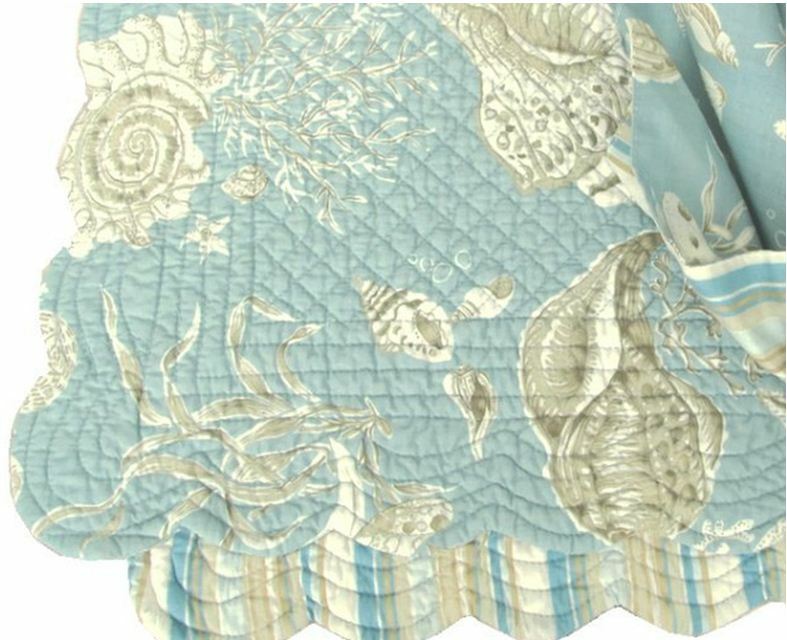 One placemat will give you two entirely different looks as it reverses to a coordinated aqua, tan, and ivory stripe. Trimmed with a scalloped edge. (Napkins sold separately).